There are several artists by this name: 1) Magnum are a British melodic rock band from Birmingham England. Formed in 1972, Magnum have undergone several changes in personnel over the years but the singer-songwriter core of Bob Catley and Tony Clarkin remain today. Keyboard player Mark Stanway joined in 1980. Bassist from 1976 - 95 was Wally Lowe and drummers were Kex Gorin until 1984, Jim Simpson in 1985 and Mickey Barker from 1985 until the band split in December 1995. Magnum reformed in 2002 with Al Barrow on bass and have used drummers Harry James and Jimmy Copley. 1) Magnum are a British melodic rock band from Birmingham England. Formed in 1972, Magnum have undergone several changes in personnel over the years but the singer-songwriter core of Bob Catley and Tony Clarkin remain today. Keyboard player Mark Stanway joined in 1980. Bassist from 1976 - 95 was Wally Lowe and drummers were Kex Gorin until 1984, Jim Simpson in 1985 and Mickey Barker from 1985 until the band split in December 1995. 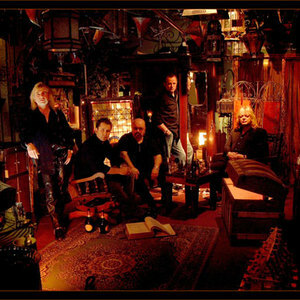 Magnum reformed in 2002 with Al Barrow on bass and have used drummers Harry James and Jimmy Copley. Magnum began as the covers or house band at Birminghams famous Rum Runner night club (later the home of Duran Duran) before they began to develop their own style by playing Clarkin's songs at a residency at The Railway Inn, in Birmingham's Curzon Street in 1976. Dave Morgan figured in the original line up and later found success with ELO, later recording an independent album (the BC collection) with ELO keyboard player; Richard Tandy. Debut album 'Kingdom of Madness' was released on Jet Records at the end of 1978 and reached # 58 in the Uk Charts. Their most notable success during these early years was the Jeff Glixman produced 'Chase The Dragon' (1982) which reached # 17 in the UK. After the relative commercial failure of 'The Eleventh Hour' the following year Magnum and Jet parted company and thereafter followed a twelve month period of instability with the band's future clouded by uncertainty. Magnum II and Magnum Marauder (a limited edition four track EP featuring superb versions of 'Invasion' and 'All of my life' recorded live at the Marquee) are amongst the best of the raw early rock offering. In early 1985 they signed a one-off deal with FM Records and released the epic 'On A Storyteller's Night'. It reached # 24 in the Uk and launched the band across Europe, and was also notable for the stunning cover by fantasy artist / illustrator Rodney Matthews. Matthews also worked with the band on 'Chase The Dragon', 'The Eleventh Hour' and 'Sleepwalking' aswell as various re-issues and compilations. The success of 'Storyteller's' earned the band a major label deal with Polydor and they embarked on the most commercially successful period of their history. The first release for the label was produced by Queen drummer Roger Taylor in 1986, 'Vigilante'. Magnum enjoyed increased success with the albums 'Wings of Heaven' (# 5 in the UK) and the Keith Olsen produced 'Goodnight LA' (# 9); following this album they parted with Polydor and released albums for various labels on one-off deals, the first being 'Sleepwalking' in 1992. After Magnum split in December 1995 a spin off group featuring Catley and Clarkin was formed called Hard Rain and they released a couple of albums in the late '90's. At the same time Bob Catley launched a solo career using various songwriters including Gary Hughes of the band Ten and in early 2006 released his 5th solo album, 'The Spirit Of Man'. Without the Magnum name Hard Rain found gigs hard to come by and Clarkin and Catley relaunched Magnum with the album Breath of Life in 2002 and signed to SPV. This was subsequently followed by Brand New Morning in 2004 and the band continued to tour around the UK and Europe. After touring in 2005 to mark the 20th anniversary of 'On A Storyteller's Night' they released a live DVD of the Astoria concert entitled 'Living the Dream' which came complete with a small documentary and promotional videos from throughout the band's history. Magnum are about to release their latest offering. Princess Alice & The Broken Arrow. Once again the cover artwork has been done by Rodney Matthews and photos and sleeve design by Al Barrow. The album will be released through SPV records. The band will commence a European and UK tour in May 2007. Another album, "Into The Valley Of The Moonking" was released in 2009. Magnum released a new studio album in January 2011, "The Visitation" which hit the top 20 in the German album charts. The album also charted in the UK, Switzerland and Sweden. 2) Magnum was a "free soul" act in the 70's from San Pedro, CA. 3) Magnum is an American AOR band. They released only one full album - No Secrets (1989). 4) Magnum were also a great jazz funk combo from the US that released an LP called 'Fully Loaded' in 1974. A rare and exceptional jazz funk album. (It's a shame that it's not listed here). 5) Magnum is a forward thinking electronic music artist from Puerto Rico. In 2010, Magnum joined heavy bass, club music label, Nightshifters, based in Berlin and run by DJ Donna Summer and Jubilee to remix Canblaster's ?Triple Ring? for Canblaster's debut EP and then release his own debut EP ?Grooveworks? in May 2011, which showcases some harsher, heavier rave vibes and gets remixed by: Hostage, Panteros666 from Club Cheval, Randomer and Lucid. In the following months Magnum released ?Schemes? on Future of Bass 1, a compilation cured by HxdB for US based label Gradient Audio. His sophomore EP ?Visions? came out on Belgium based label Inhale on October 2011 and recieved early support from Scratcha DVA (Rinse FM), 2562, Randomer, Norrit and Resketch among many others and his latest EP ?All Over Me? released on South London based 92 Points came out on January 2012 after big anticipation and includes remixes by hotly tipped producers French Fries and Visionist. He has remixed Bosstone, Mite + Ewalk, Admin & Mahni, Imaabs, Emmerson & Klauser, MadJazz, Lao, Kiev, and others.